The Powered by Prestashop information from Prestashop eCommerce can be easily removed however it does feels complex for beginners. It is simple and you do not need to edit or alter any template files or complex php configurations. Login to your Prestashop Admin Panel and navigate to the Modules Section. 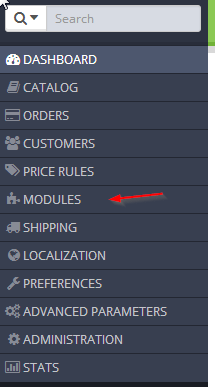 Once in the Modules Section search of “CMS block” and click on the configure “CMS block” module. 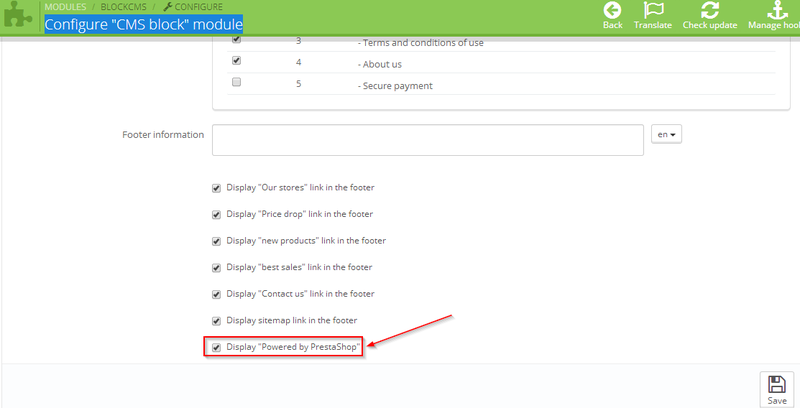 The option to remove “Powered by PrestaShop” is easily accomplised.